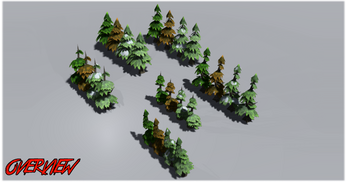 - 4 Variations of color. "Normal" green, "Dry" brown, Snowy green with Chunks of snow and Snowy green without Chunks. - Average Tris count ~ 250. 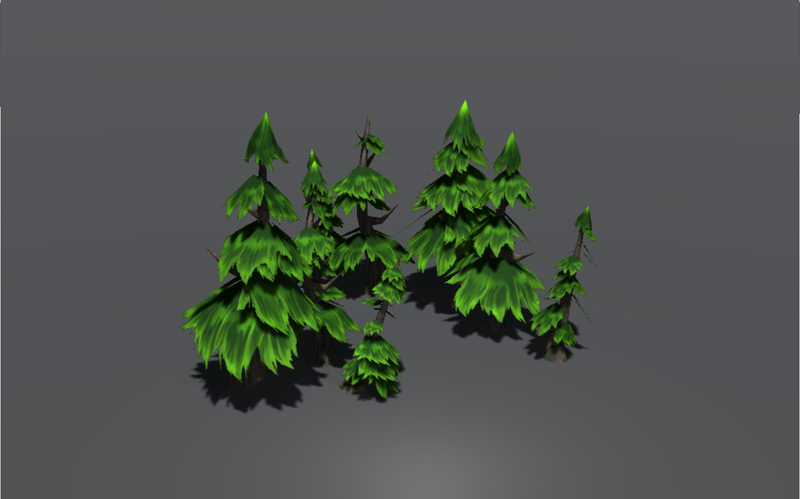 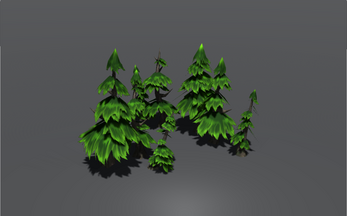 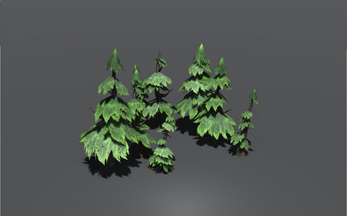 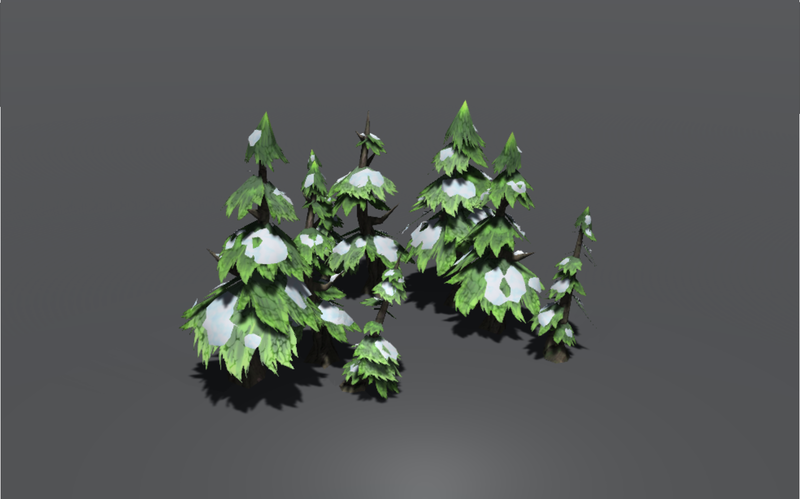 Snowy Pines with snow chunks have around +150 Tris. - Albedos are 1024x1024 PNG files. - 18 Models in Total.